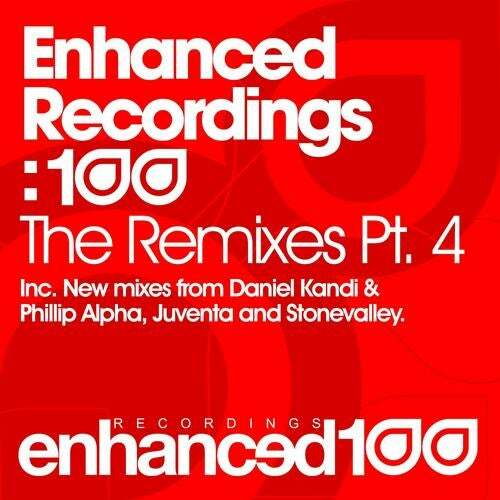 The final instalment of the Remix EP's taken from the landmark 100th release on Enhanced Recordings contains three more essential reworks, this time from Daniel Kandi & Phillip Alpha, Juventa and Stonevalley! Already crowned the "Money Shot" in DJ Mag, Daniel Kandi & Phillip Alpha completely overhaul Temple One's classic "World Beyond" into something very special indeed, whereas Juventa delivers a peak time smash with his remix of a favourite from Estiva, "Les Fleurs". Lastly, Stonevalley takes Elsa Hill's "Lost" in an entirely new direction, with a absolutely superb remix! Read on for more information on the full release! "Scaling the sheer rock face that is the trance label rankings is the hardest challenge facing any imprint... Enhanced Recordings have successively and successfully been bucking that trend" (Trance International). Now viewed as "one of the most famous trance labels today" (Armin van Buuren), Enhanced Recordings is regarded as "arguably the most consistent trance label on the planet" (DJ Mag), with a reputation for "quality assured trance, guaranteed with every release" (Tilllate). Hitting a century of releases has long been seen as a major milestone in any labels journey. In less than 6 years, "the label that delivers tune after tune" (Mixmag) has become a genuine leading light of today's trance scene, unearthing leading talent and cementing itself as beacon of high standards; "find them in the dictionary under Quality Trance" (Trance International). Enhanced Recordings decided that to celebrate their 100th release, they would ask their fans for their input and help decide the tracklist; over the past month, thousands of votes have poured in from over 80 countries around the world, seemingly trying to answer the impossible - what were your favourite 5 Enhanced Recordings tracks from the first 99 releases. With the votes counted, Enhanced's founder Will Holland has put together and mixed both Discs, with Disc One containing the top 14 voted Enhanced Recordings Classics, and Disc Two consisting of 14 brand new remixes from some of Enhanced's most established names and newest recruits, who have each selected a past Enhanced Recordings release to dust off and update for 2011. The fitting celebration of the hundredth release will be released on 28th August, comprising of a special edition double CD and download release and 4 part EP containing full versions of the new remixes which will be released separately throughout August and September.